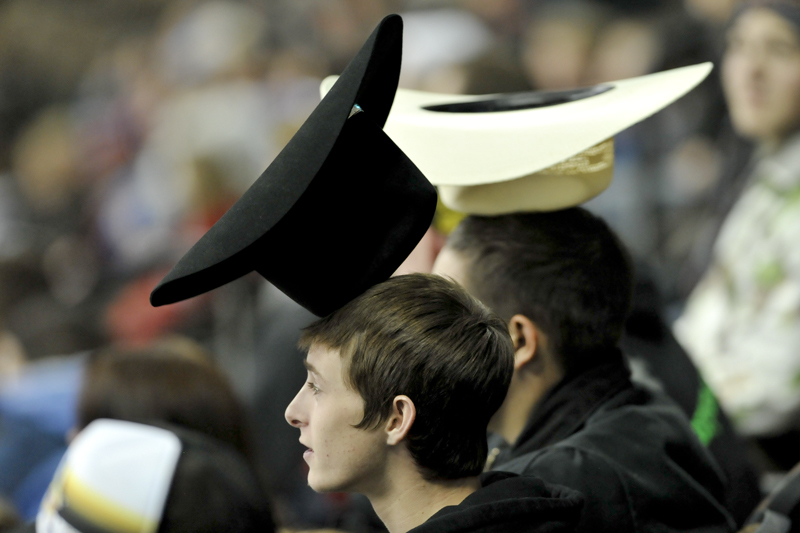 Two fans use their cowboy cats as rally caps during a game between the Colorado Avalanche and Phoenix Coyotes at the Pepsi Center on November 2nd, 2011 in Denver Colorado. Phoenix defeated Colorado 4-1. As the Coyotes were defeating the Avalanche late in the third period of my last NHL game for at least the perceived future I saw these two guys using their cowboy hats as rally caps which I found entertaining, clever, and pretty impressive.